Delightful, the Dynamic, Lightweight, RESTful web application pattern places rendering into the browser with Dynamic HTML (DHTML) and decouples display and application logic. 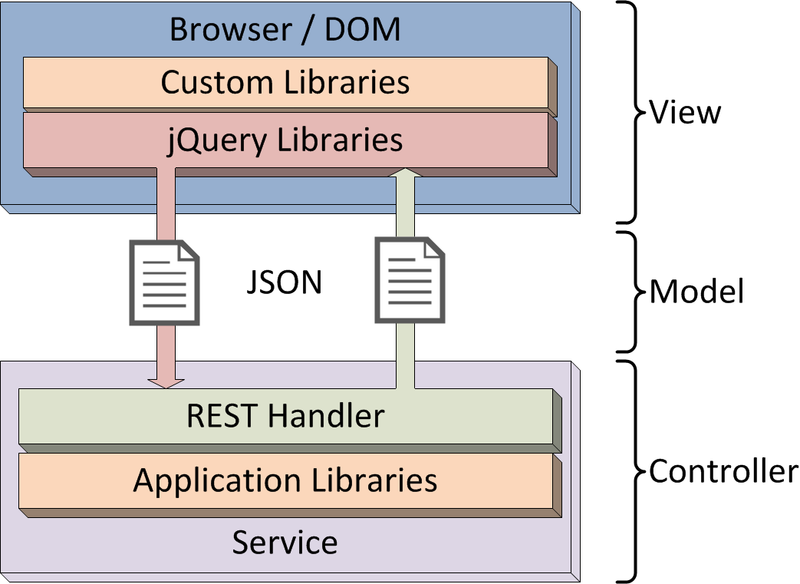 The browser is responsible for laying out and rendering the application page, and fetches content from a REST service back end via JSON over AJAX. 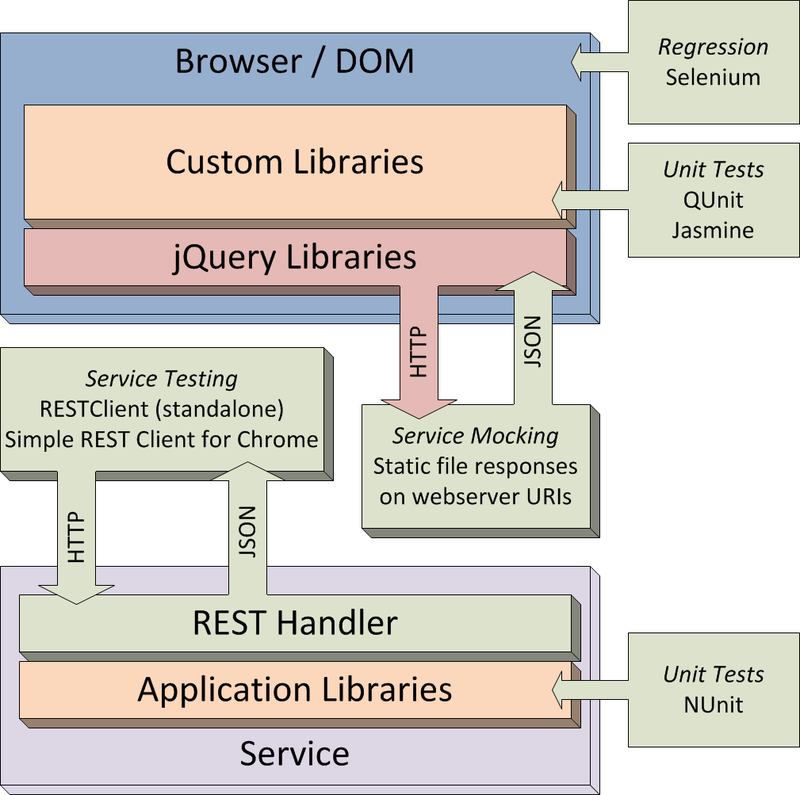 The REST service exposes the page content as URIs (essentially documents) and supports the full stable of HTTP actions. You’ve seen parts of this pattern used elsewhere with DHTML and AJAX web pages. I just haven’t seen it named anyplace. Conventional web applications render the web content on the server side and depend on having a browser to interact with the user. With little change in this pattern, we’ve been pushing the rendering load to the server since 1993 and developing what are in essence single-platform apps. Modern browsers are far more capable than their ancestors two decades ago and can easily handle dynamic rendering of page content. In 2010, the Gartner Group predicted mobile browsers would overtake PC-based browsers by 2013 and will be the primary browser by 2015. Given that a conventional web application requires a different front-end to be coded, compiled, and deployed for each platform (mobile, tablet, PC), moving rendering to libraries specific to the platform begins to make more sense. As an aside, my phone has a faster, more powerful processor than any PC I owned until 2003. Applications built using the Delightful pattern don’t care what implements the REST service or even what kind of front-end ultimately consumes the data. I wrote a WSGI service in Python for a Delightful hands-on workshop, but could have just as easily done it using Jersey or Node.js. The web application didn’t care because the service implemented REST. 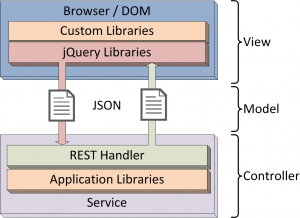 The front-end can likewise be anything that communicates with servers via REST and accepts JSON content: web applications, mobile apps, PC applications, or other services. Using a backing database like Mongo with JSON can be a huge win in a Delightful application. 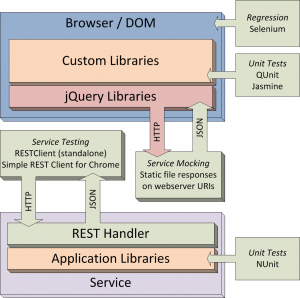 Asynchronous HTTP requests to the server can be used to speed up the page’s time to glass. A properly constructed page will render before the content is available, giving very fast apparent feedback to the user. I like the name and it is almost an acronym. It really is a delight to develop web applications using this model and I was able to walk into my presentation and workshop with confidence that it works. Delightful applications work well on my tablet, phone, and PC with no recompile, redeploy, or special effort required.